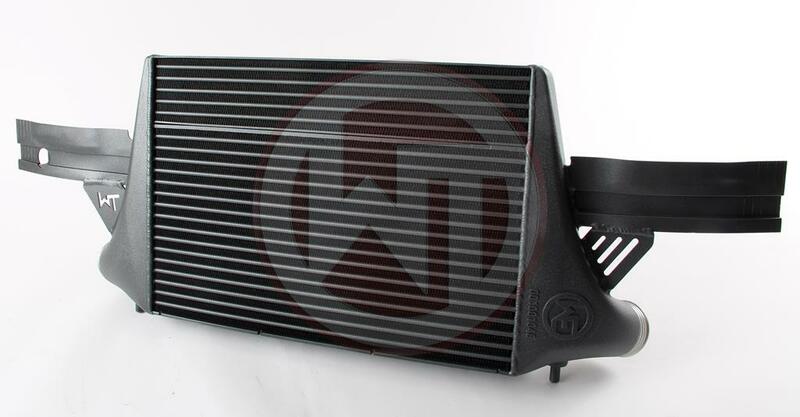 This high performance intercooler has the following core dimension 515mm x 367mm x 95mm providing a 120% larger cooling surface and 142% more charge air volume compared to the original intercooler. 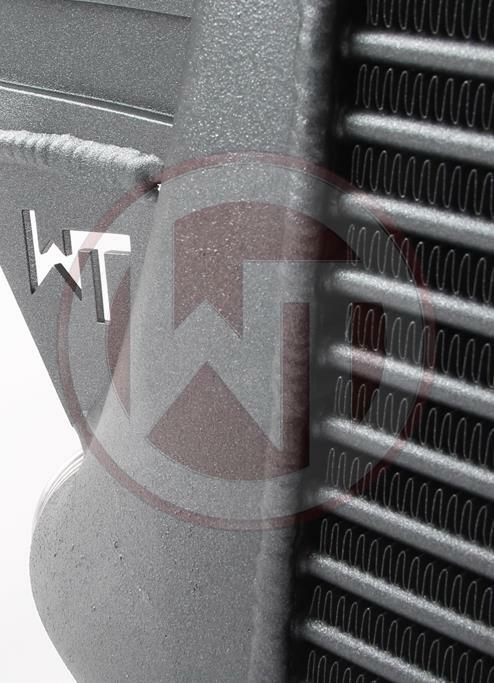 Our newly developed competition core provides ample airflow to the adjacent components (eg the water radiator) and is also very lightweight in construction. 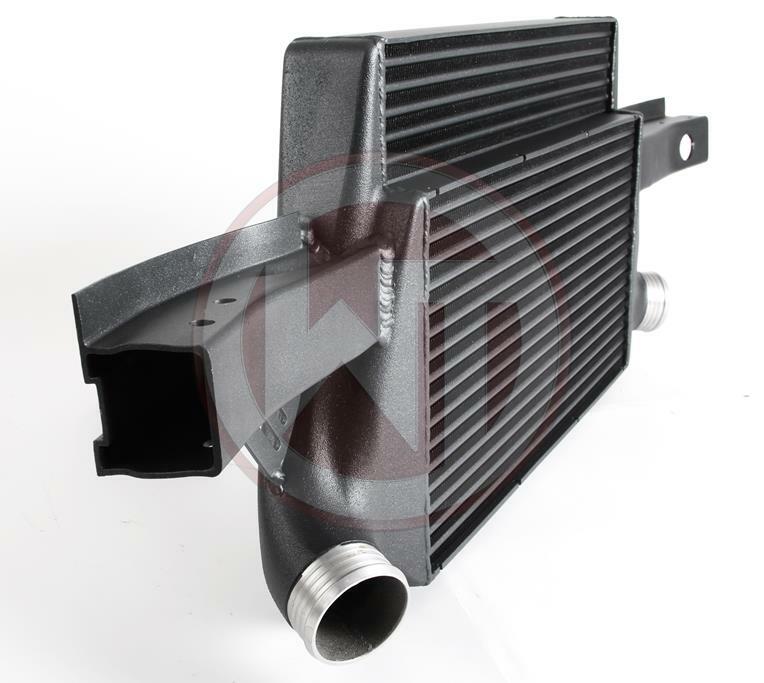 The end tanks of the intercooler are made of freeform cast aluminium and have been optimized in CAD. 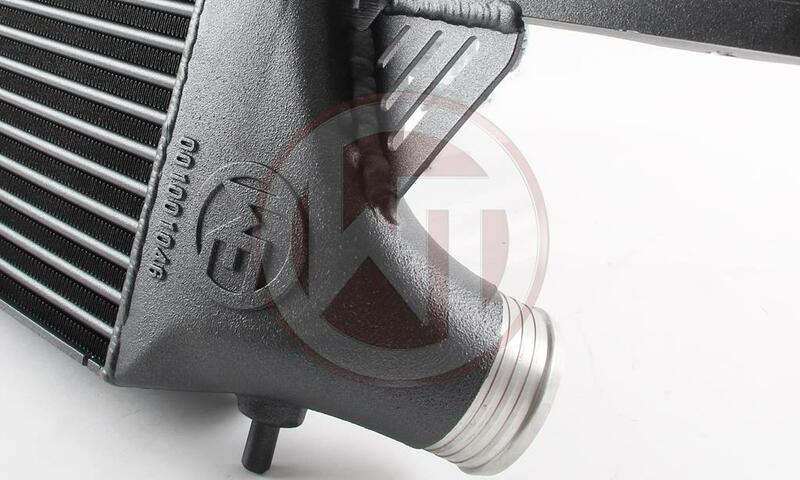 With the help of additional air guides inside the inlet we achieve uniform filling of the intercooler. This gives excellent cooling with minimum back pressure. This kit is the ultimate unit for extreme road and racing. 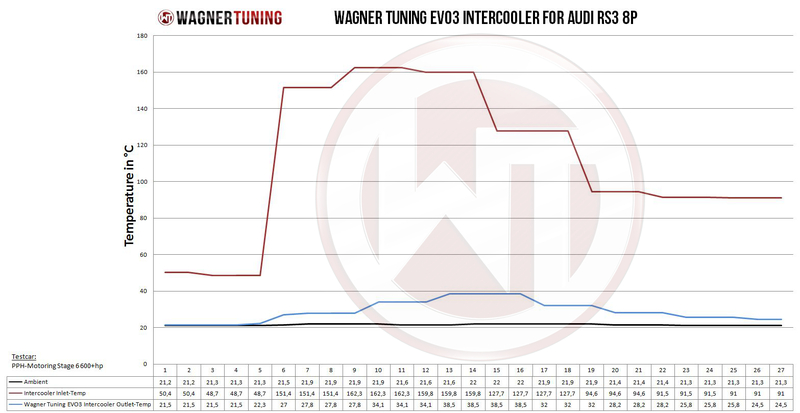 The intercooler and the original crossmember form a stable unit and weighs only 11.2 kg. It is mounted to the original mounting points and is easy to perform (1:1 exchange). 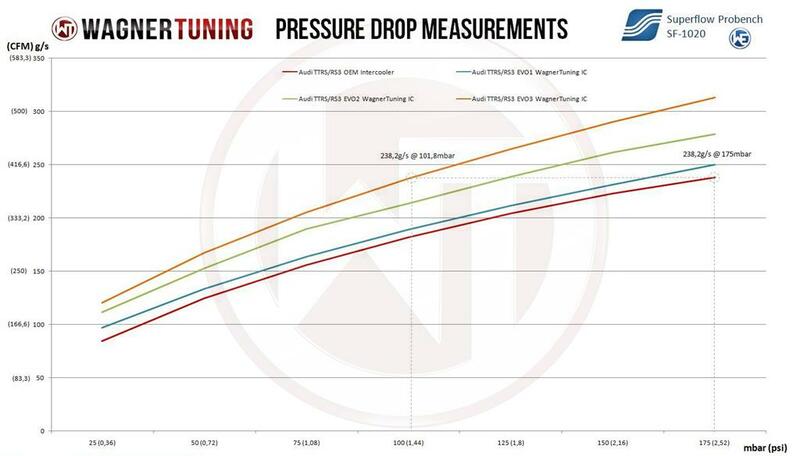 Optimum cooling of the charged air with a clear increase in performance!